Uppada Tri Color Sarees are one of the latest fashion in Uppada Sarees. 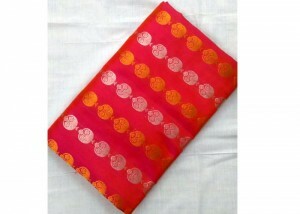 These Uppada Silk Sarees are also called 3 colors uppada sarees, uppada tri color sarees. Uppada three color sarees are nothing but 3 colors on saree body. Uppada sarees are light in weight.